Jenoptik presents product highlights of its Optical Systems and Healthcare & Industry divisions at SPIE Photonics West from February 16th to 18th in San Francisco, South hall of Moscone Center, booth 1823. In the year that marks its 25th anniversary, Jenoptik will exhibit various products and solutions for semiconductor, life science and industrial applications at SPIE Photonics West 2016 in San Francisco. The Optical Systems division will present, amongst others, innovative freeform optics for infrared applications. The newly created Healthcare & Industry division will focus on highly efficient semiconductor material, diode lasers and a powerful femtosecond laser. In addition, Jenoptik will be showcasing optical, optoelectronic and laser solutions of both divisions at booth 1823 in South hall of the Moscone Center. In addition, Jenoptik continues the tradition of supporting young entrepreneurs participating in the SPIE Startup challenge, a competition of the international society for optics and photonics (SPIE). At this event, young entrepreneurs from the field of optical technologies will present their business ideas and products to an expert jury including Jenoptik employees Jay Kumler and Marc Himel. For 25 years, Jenoptik has been supplying worldwide markets with optical, optoelectronic and laser solutions. At the beginning of 2016, the Group introduced a new market-oriented division structure, realigning its business in three of its five divisions more closely towards the markets semiconductor equipment, medical technology and automotive served. Jenoptik President & CEO Michael Mertin: "This organizational change underscores the sustainable ongoing development of the Group to reflect customer requirements from our markets as well as global megatrends." Visit Jenoptik at SPIE Photonics West (details under www.jenoptik.com/...) or learn more at Jenoptik’s new website www.jenoptik.com. In order to provide solutions for the fast growing healthcare and life science market, Jenoptik now bundles all healthcare technologies in a new Healthcare & Industry division. Especially laser sources for healthcare are an essential part of the company’s core product portfolio. With decades of experience Jenoptik manufactures lasers for industrial and medical applications. Ten years ago, Jenoptik presented the first femtosecond laser for industrial usage, being one of the pioneers in the fast growing ultra-short pulse laser market. The extraordinary quality and reliability of Jenoptik laser sources is demonstrated in sales of more than 20,000 disk-based lasers for ophthalmology applications. 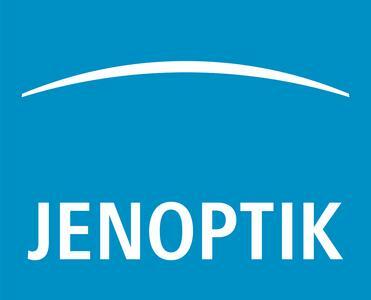 Jenoptik adds three new single emitters to its portfolio. The new products emit at a wavelength of 808 nm and can be used as pump sources of solid-state lasers with lower power, for diode direct and micro-marking applications, metrology and instrumentation, as well as for manufacturing of compact near infrared (NIR) light sources. The power-scaled emitter chips have a cavity length of 2 and 4 mm and apertures of 95, 100, and 200 μm, all being based on TM-polarized material. Short-cavity devices have an output power of 4 Watt with a wall-plug efficiency of more than 60 percent. Long-cavity devices with 100 μm-wide emitters run at 7 W and devices with 200 μm-wide emitters provide 10 W output power with wall-plug efficiencies of about 55 percent. Furthermore, first results of working on 5-emitter bars operating at 40 W will be present. Jenoptik’s enlarged single emitter portfolio provides the company’s customers with more design flexibility and allows for even more cost-efficient system layouts. Jenoptik introduces its next generation QWC module in the US as part of its quasi-continuous-wave diode laser stack series. It was first presented at LASER World of PHOTONICS in Munich last year. The new JenLas® QCW Cool complements the series in terms of longer pulse operation. The design has been optimized for long pulse operation, which is challenging in terms of heat dissipation. Special material composition along with an improved packaging process ensures hard pulse operation at a reasonable lifetime. Customers benefit from a state-of-the-art lean manufacturing process, resulting in the highest product quality at optimal price-performance ratio. The new JenLas® QCW Cool is equipped with eight laser bars emitting at 808 or 940 nm. A multi-color stack is also possible. High fluence of 50 J/cm2 can be achieved; long pulses of up to 400 ms and a high duty cycle up to 50 percent are achievable, in which case Jenoptik guarantees 4 Mshots at room temperature. Despite the dense arrangement of the bars, JenLas® QCW Cool has a low thermal resistance due to the directly integrated and easy-to-use tap water cooling. JenLas® QCW Cool is robust, having a very small footprint (close to 1 in2). The laser stack passed all standard shock and vibration tests according to industrial grade products. The new technology allows easy design modifications according to different customer requirements. The major product demand comes from the medical and aesthetic markets, requiring reliable long pulse operation, for example, for gentle, but effective hair removal. The product is also suited for high-power applications, as well as for pumping of industrial solid-state lasers and high energy projects. Due to the extensive experience with femtosecond lasers Jenoptik has successfully transfered a new and challenging application into industrial production. Femtosecond pulses can now be used for scribing invisible pre-determined break lines that enable precise break loads in genuine leather with a natural inhomogeneous thickness between 1 and 2 mm. The scribing process employs the powerful femtosecond lasers from Jenoptik’s JenLas® femto series and prevents heat-induced swelling or other thermal damage of the leather. This is impossible to achieve with any longer pulsed lasers. Compared to conventional methods, such as mechanical knife scribing, the new manufacturing method enables much faster and more precise processing. All leather types and colors can be scribed with nearly the same process parameters. The presented technological solution is particularly interesting for automotive applications, like airbag cover material or premium quality consumer goods. Accelerated lifetime tests, carried out by automotive customers showed that the break lines, scribed via Jenoptik’s femtosecond laser process, remain invisible over the car lifetime under all environmental conditions. Jenoptik patented the leather-scribing method with a femtosecond laser and introduced a new generation of its laser perforation machine JENOPTIK-VOTAN® A particularly for this process. 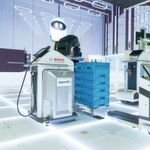 It fully meets the stringent requirements of the automotive industry as Jenoptik pays much attention to the high reliability and availability of its lasers during 24/7 use in industrial and medical applications as well as simple system integration. Since the beginning of 2014, Jenoptik’s Optical Systems division has been working together with seven other companies and two research institutes from the Thuringia photonics industry on the ƒo+ (Freeform Optics Plus) research project to develop innovative freeform optical systems. New design concepts are the focus of this work, as is the further development of production and integration technologies. The team’s objective is to optimize form factors, weight and costs in line with market requirements, but also to improve optical power and stability in the real boundary conditions found in potential areas of application. Jenoptik has developed a demonstrator, with innovative freeform optics as the core element, specifically for the ƒo+ project. It is designed for infrared applications, and will demonstrate the benefits of the technology developed for applications in the security, automotive and optical communications areas, for example. It will, moreover, also be possible to use the foundations laid as regards the design, production, and integration in areas beyond the infrared applications – for example, in laser materials processing or in semiconductor equipment. As an integrated photonics group, Jenoptik divides its activities into five divisions: Optical Systems, Healthcare & Industry, Automotive, Traffic Solutions and Defense & Civil Systems. Its customers around the world mainly include companies in the semiconductor equipment manufacturing industry, automotive and automotive supplier industry, medical technology, security and defense technology as well as the aviation industry. Jenoptik has more than 3,500 employees and in 2015 generated revenue of about 670 million euros according to preliminary calculations. With its Optical Systems division Jenoptik is one of the few development and production partners worldwide for optical and micro-optical systems and precision components designed to meet the highest quality standards. The division offers solutions for optical glass, fused silica and crystals, infrared materials as well as plastic that can be coated in wavelength from far IR up to DUV. Jenoptik also possesses outstanding expertise in the development and manufacture of micro-optics for beam shaping used in the semiconductor industry and laser material processing. The product portfolio also includes solutions for information and communication technologies, as well as for defense and security. The Healthcare & Industry division offers more than simply technology - as a strategic partner, they develop customer-specific system and application solutions for customers in the healthcare sector and industry. 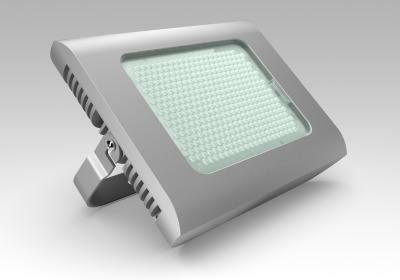 Their focus is on medical technology and life science, automobile and laser technology, and LED lighting. Based on its core competences from laser and LED based beam sources, optical components and modules to sensors, digital imaging and system integration, Jenoptik is a leader in the development of OEM system solutions and products for the life science industry. In industrial applications, Jenoptik is an international provider of high-performance optoelectronic components and modules, as well as solutions based on outstanding application expertise.